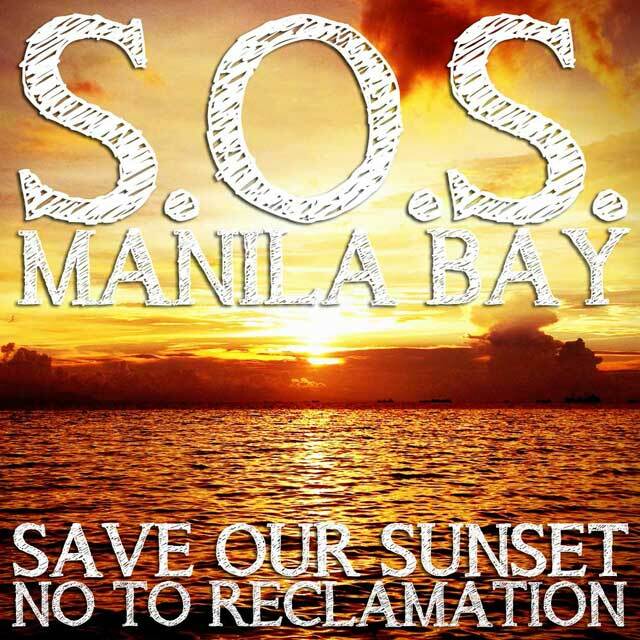 S.O.S Manila Bay: Save our sunset! 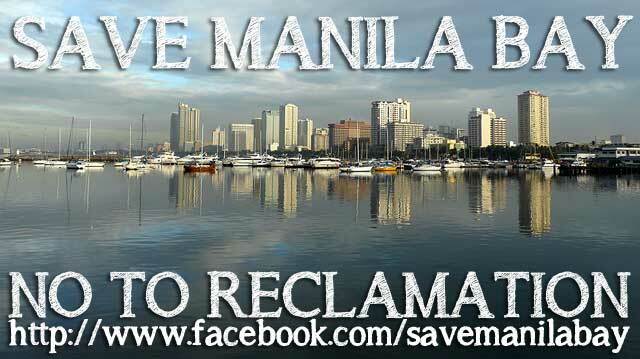 No to the reclamation of Manila Bay! 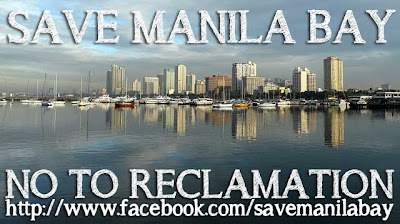 Below is an online petition drafted by a group of concerned citizens, several of whom were part of the original group that opposed the same reclamation of Manila Bay proposed in 1992. Let us work together to stop moves for reclamation again. Sunset on Manila Bay is a spectacular experience, and is free for all to enjoy. But not for long, if developers have their way. In 1992, a group called “Manila Goldcoast Development Corp.” lobbied for approval to reclaim the entire Manila Bay waterfront along Roxas Boulevard, between the Cultural Center of the Philippines and the US Embassy. This scheme was challenged by citizens, who fought to preserve the last remaining access to the bay along Manila's historical district. The citizens won. The Manila City Council passed City Ordinance No. 7777, prohibiting reclamation in this area. However, Goldcoast was, tragically, able to get City Ordinance No. 7777 repealed. In February 2011, City Ordinance No. 8233 reversed the prohibition. A consortium agreement was signed in April 2012 to reclaim the same waterfront along Roxas Boulevard, about 288 hectares of land, even swallowing up the Manila Yacht Club and the Philippine Navy Headquarters. In addition to blocking the view of the sunset from Malate and Ermita, the reclamation will worsen floods, extinguish the tourism area along Roxas Boulevard, destroy the potential of our historic Intramuros, remove 20 vital anchorage berths for ships and most of all, take away from us a waterfront we all love. No aspect of this scheme will improve the City of Manila in any discernible way — it is all for the profit of a few individuals. We must act to protest this reclamation and prevent further destruction and loss of our heritage. We will stop them again.